Often called the greatest lyric Irish poet of all time, William Butler Yeats was one of the driving forces behind the Irish Literary Revival. He also co-founded the Abbey Theatre and the Dun Emer Press, and served as an Irish Senator from 1922-28. Yeats had a keen interest in transcendentalism and his works reflect his lifelong relationship with fairies of Irish folktales and mystical states. He also translated The Ten Principal Upanishads (1938) with Shri Purohit Swami and was admitted into The Golden Dawn and the Theosophical Society (whose founder, VIP Madame Blavatsky, reportedly used hashish). He wrote in 1892, "The mystical life is the centre of all that I do and all that I think and all that I write.'" In 1889, Yeats met Maud Gonne, a young heiress who became passionately involved in the Irish nationalist movement. Although she rejected his many marriage proposals, Gonne greatly influenced Yeats's life and work. In his book, Swendenborg, Mediums, Desolate Places (1914) Yeats wrote, "Much as a hashish eater will discover in the folds of a curtain a figure beautifully drawn and full of delicate detail all built up out of shadows that show to other eyes, or later to his own, a different form or none, Swedenborg discovered in the Bible the personal symbolism of his vision." 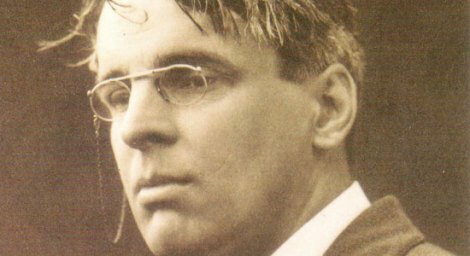 William Butler Yeats was awarded the Nobel Prize for literature in 1923 for what the Nobel Committee described as "his always inspired poetry, which in a highly artistic form gives expression to the spirit of a whole nation."